It's a bad day when death is the only way to win a war. Earth is made up of humans, Bombardiers and alien allies. Eager to shore up control the Empire is bringing dead planets to life, while the Forward Fleet explores new galaxies. Ark Four is destined to lead the Empire to the next level, but as they find new enemies will there be anything left of it? Ark Four has brought home the truth and it's nothing they expected. The laws of the universe are turned upside down when their enemy declares all-out war. Ark Four is the cause, but no one knows why. 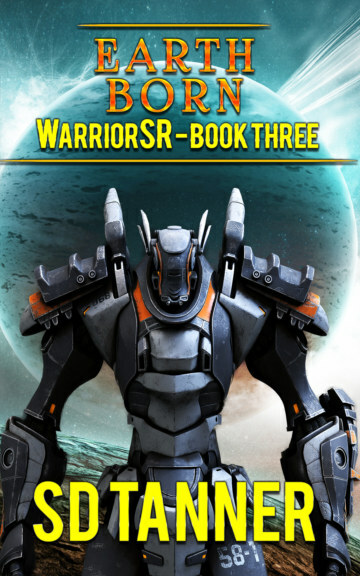 WarriorSR is another exciting life and death battle challenging the rules of universe. A wild ride filled with mad twists, lunatic aliens, cool tech, and a squad that never quits until the job's done. SD Tanner is the author of the USA Today Best Seller Navigator series. A keen gym junkie who has travelled the world, Tanner spends every spare minute creating wild tales filled with adventure and bringing complex characters to life. All of Tanner’s stories are told through much action and a good deal of humor. With a lifelong love of all things Sci-Fi and horror, Tanner writes epic stories through trilogies and boxsets designed to keep you entertained until the last page. Although Tanner keeps a low profile, should you ever wish to chat, please get in contact directly through sdtanner.com or facebook.com/sdtanner9/. You can also subscribe to sdtanner.com to hear about current and planned releases. Welcome to the crazy world of SD Tanner, it’s always a wild ride!